We are happy to recognize Asheville Buncombe Youth Soccer Association (ABYSA) as Small Business of the Month. Read on for our interview with ABYSA's Mike Rottjakob. ABYSA was founded in 1980 as a Recreation Soccer non-profit and merged with the Highland Football Club (competitive soccer) in 2005. 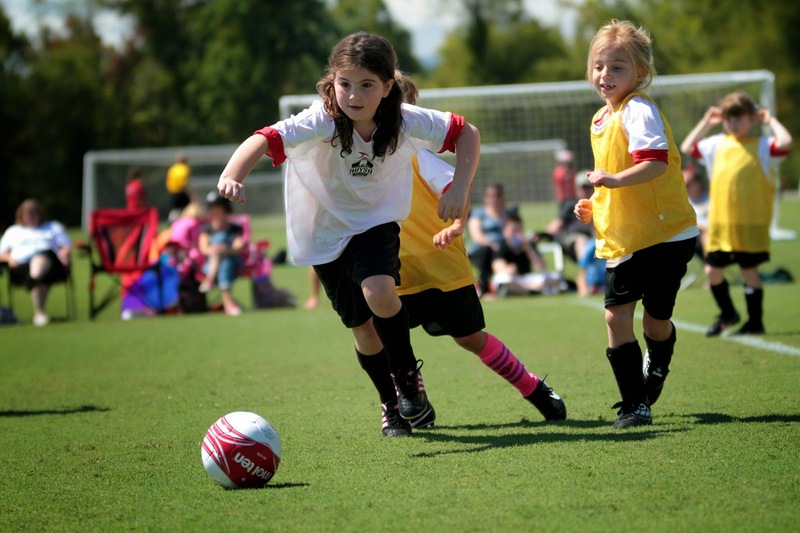 We provide the children of Asheville and Buncombe County with the health, social, and developmental benefits of team sports. For our fiscal year ending June 30, 2014, we served over 5,600 unique youth players. Of course, as a staff of life-long soccer lovers, we are very proud of the quality of our programs and the number of children and families that we are able to serve. Age and developmentally appropriate programming provided in an emotionally safe environment is not always easy to find in the youth sports world, but it really adds to the quality of life in a community, and is an ABYSA core value. What we are most proud of though is probably the accessibility of our programs for underserved children through our robust outreach and financial aid efforts. The fact that we are able to reach so many children who otherwise would not have access to these types of enriching activities makes us just as proud as our three recent classic division state championships. Best advice you’ve gotten for leading a small business? "You don’t want to find yourself charging up a hill only to turn around and find that no one is following you." We have worked hard to make our programs relevant and in tune with the types of experiences parents want for their children. Providing a variety of programming that meets the needs of the casual recreation player to the player that aspires to be a student-athlete in college, and almost every player in between, has been an important factor in our organizations’ growth and the demand for our services. Your favorite thing in your workspace. For our children and their families, as well as most of our employees, our workspace is outside on the soccer field. In addition to our ongoing number one goal to constantly improve the product we provide on the soccer field, there are two big projects on the horizon for the next two years. First, we have outgrown our office space and will be renovating a new space that was donated for our use. The second big project is the John B. Lewis Soccer Complex Turf Replacement Project. We are working to cap off improvements the city has made to the Azalea and Recreation Park areas with replacement of the aging artificial turf. The improved park access and amenities that were recently completed in East Asheville, along with the turf replacement, will position the facility to continue to provide important sports tourism economic impact to Buncombe County.